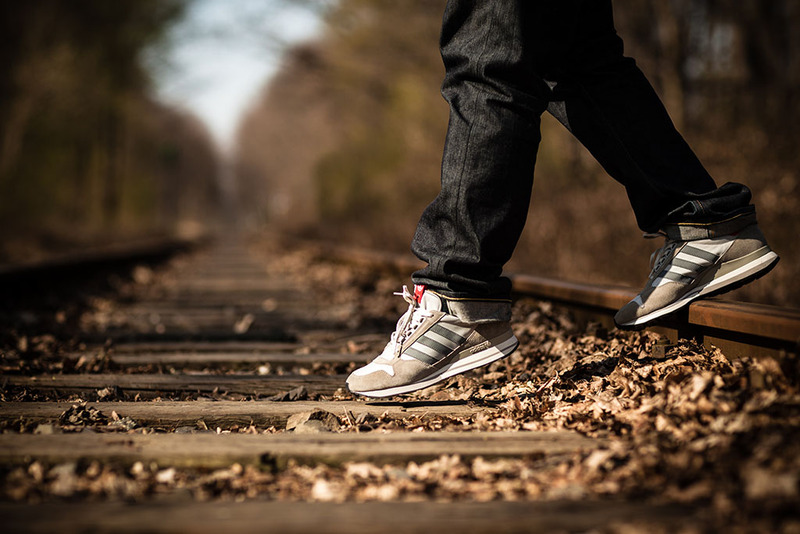 Following the success of the Tabula Rasa and Your Story Collections, Originals explores their vast archive to bring back a detail-for-detail reproduction of the iconic ZX 500 running shoe. After a brief hiatus, adidas Originals' Consortium range returned last fall and has been moving full steam ahead ever since. 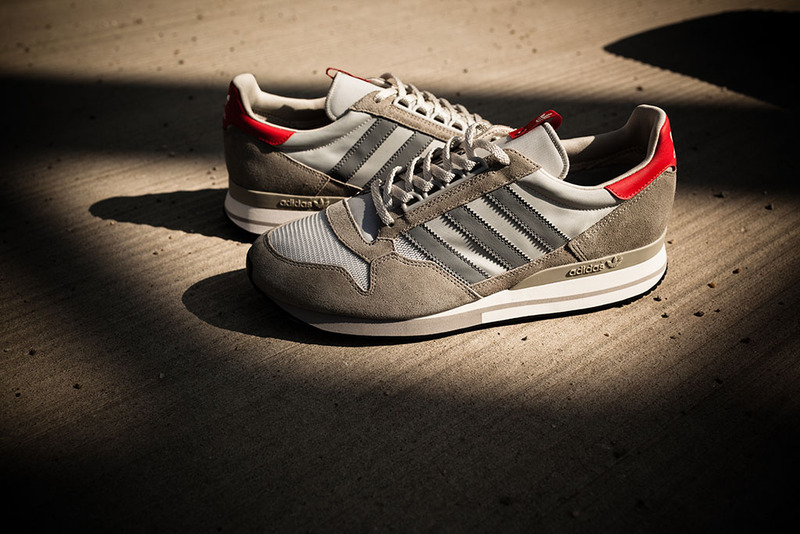 Following the success of the Tabula Rasa and Your Story Collections, Originals explores their vast archive to bring back a detail-for-detail reproduction of the iconic ZX 500 running shoe. 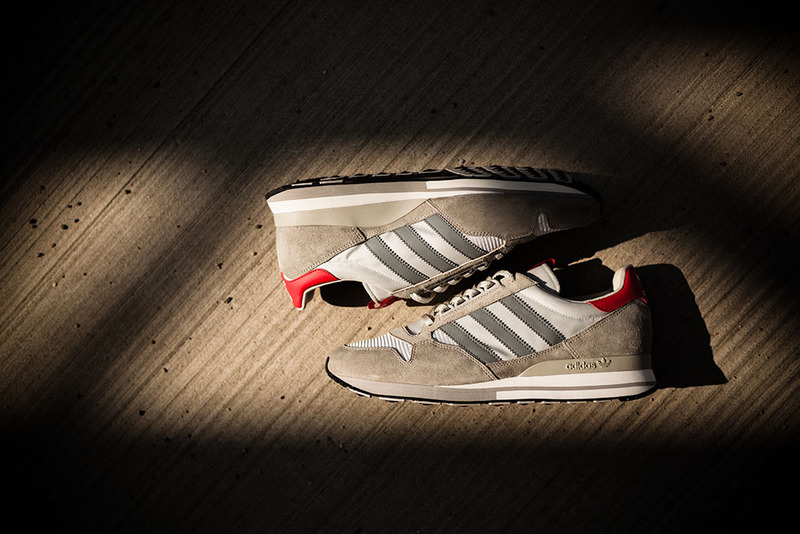 Originally released in 1984, the ZX 500 was ahead of its time with next-level technology that suited the needs of middle to long distance runners. Standout features included an extended TPU heel counter for increased stability and an EVA midsole that sat atop a unique outsole. The new release revisits one of the models original colorways. Ice Grey suede lies over a mesh base on the upper, while red color pops appear on the Trefoil-branded heel tab and tongue tag. 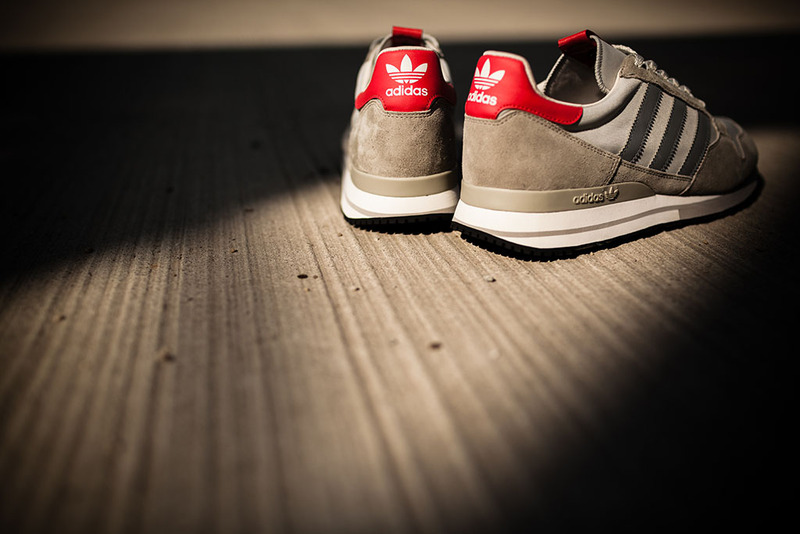 Contrasting grey and white work the midsole, which is split by a stepped foxing strip. In addition to the extended heel counter, the Ghillie lacing system increases comfort and fit while the mesh toe box brings breathability to the upper. In line with the new subtle premium creative direction of the range, Consortium branding is only in the form of the small metal eyelet dissecting an accented tongue tag, the back of which features the recognizable handshake logo. Look for the new ZX 500 to hit retail starting Saturday, July 21 at No6 in London, No74 in Berlin and select Consortium partners.